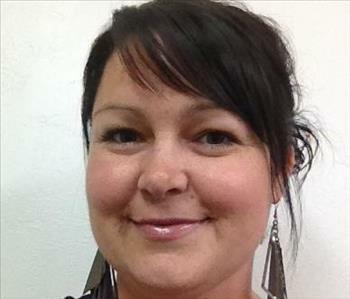 Jennifer Harris is the Office Manager at SERVPRO of Cedar City/Fillmore. She has many years of experience and has the following certifications from the Institute of Inspection Cleaning and Restoration Certification (IICRC): Water Removal Technician. Christine Kendrick is the Production Manager at SERVPRO of Cedar City/Fillmore. She has many years of experience and has the following certifications from the Institute of Inspection Cleaning and Restoration Certification (IICRC): Water Removal Technician, Applied Structural Drying Technician and Fire and Smoke Restoration Technician. Matt Mellor is the Sales and Marketing Manager at SERVPRO of Cedar City/Fillmore. He has many years of experience and has the following certifications from the Institute of Inspection Cleaning and Restoration Certification (IICRC): Water Removal Technician.